... with a vengeance for our SIXTH year and your most outrageously useless facts will be no match for those you’ll walk away with! Come armed with your wittiest team name and your sharpest pencils, this is a quiz night so side-splittingly fun that it can only occur once in every calendar year. Prepare for a battle of wits that would leave even Stephen Fry weeping in a corner. Quiz for Dili is a fundraising event for ACTION FOR CHANGE FOUNDATION - a youth training centre in Timor Leste. Ticket price includes a delicious East Timorese meal, complimentary drink and fabulous entertainment. 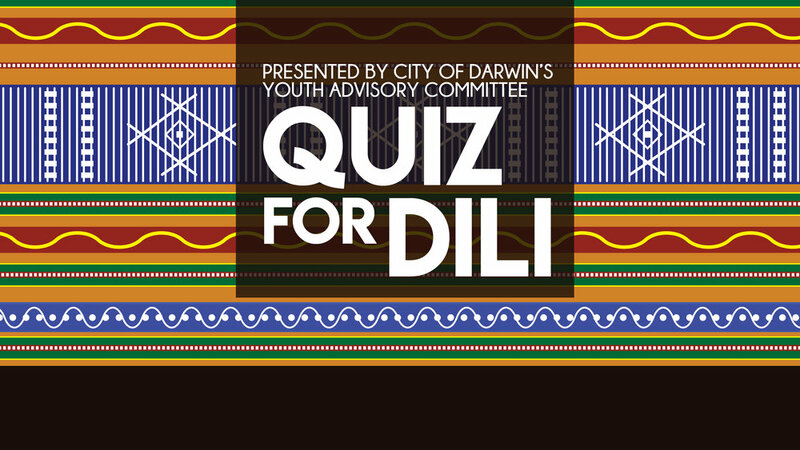 Quiz for Dili is produced by LAUNCH - City of Darwin Youth Services, City of Darwin Youth Advisory Committee and City of Darwin Dili Sister City Community Committee.